Ruling the Land of Sweets sounds like one of the best jobs ever, right?? Not sure it’s a job for just anyone but the Sugar Plum Fairy, known the world around from The Nutcracker, seems to have the sweetness for hosting which can be a great diplomatic tactic. She called for a huge celebration as soon as Clara and her Nutcracker Prince got past the waltzing snowflakes and entered the Land of Sweets. How’s that for a warm welcome? But, we can’t help thinking… doesn’t it seem like SPF is holding out on us by only offering us dances of chocolate, coffee and tea? How about a cookie? Wouldn’t mind some ice cream. And no mention of any sugary candy like Skittles or Blow Pops? But then, that’s ungrateful. It’s hard to find fault with someone so sweet and to be honest, her beauty is stunning. The Disney version of this classic tale, The Nutcracker and the Four Realms, hit theaters on November 2 and the reviews are unfortunately middling. Have you seen it yet? Say what you will about the re-imagining of the story, the visuals, costumes and makeup are breathtaking. 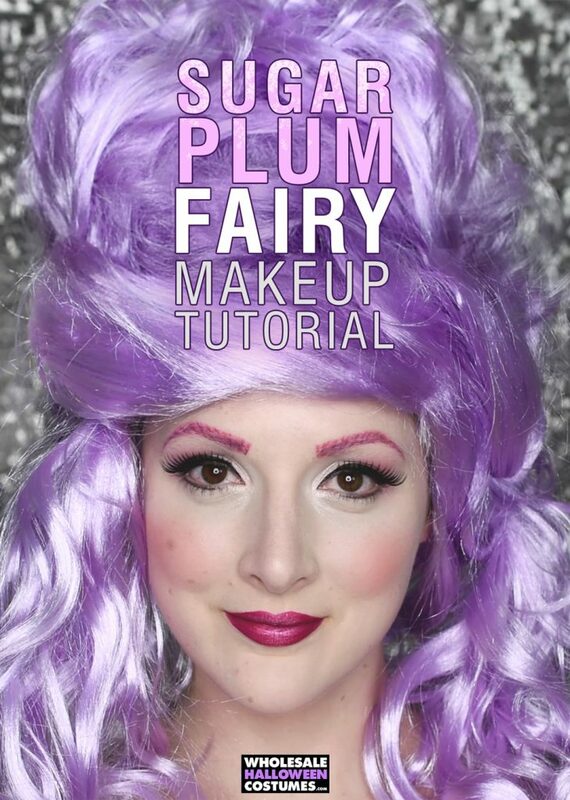 We love the look of the Keira Knightley as the Sugar Plum Fairy so we asked Catilyn Kreklewich to re-create her soft plum inspired makeup. 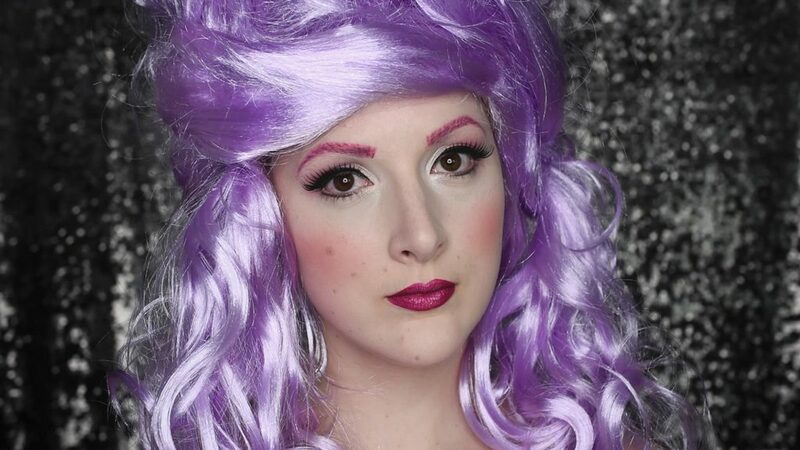 Starting with this costume and this wig, Caitlyn worked her makeup magic to finish the look. Watch the how-to video or follow along step by step below. Check out Caitlyn’s Channel on YouTube for more makeup looks and subscribe while you’re there! 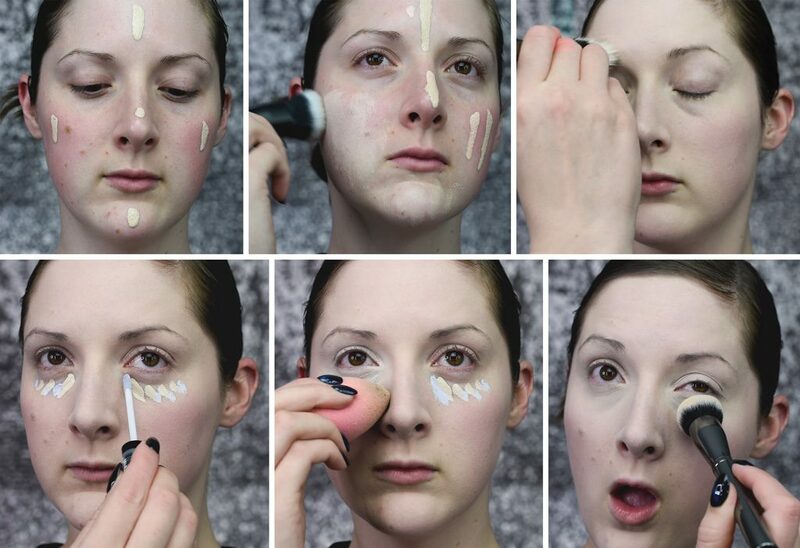 Start with a foundation that is a shade lighter than your regular tone. Apply concealer and powder over everything. 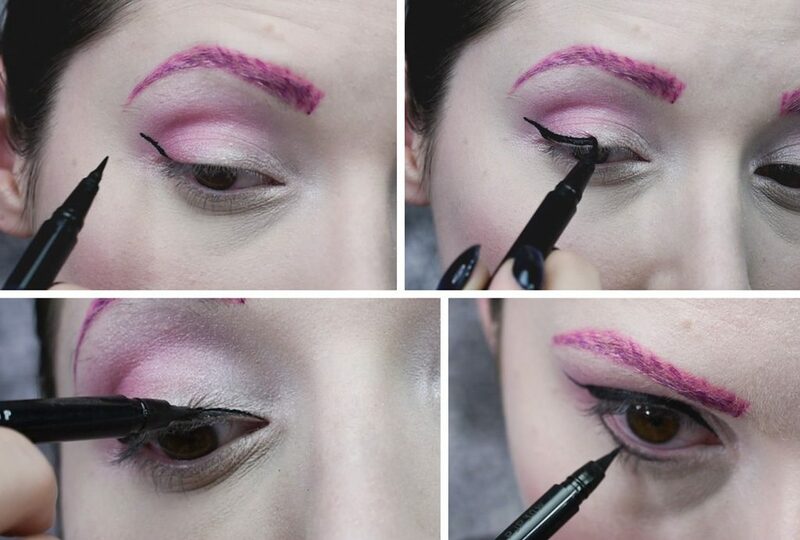 Use pink eyeliner to outline an arched brow and fill in completely with pink. 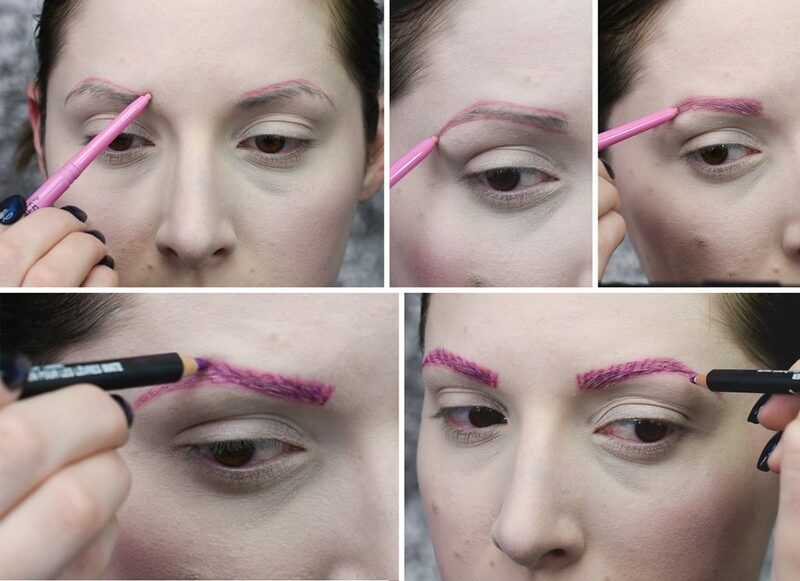 If you have particularly bushy brows you might need to block out your brows with glue first. Use a purple eyeliner to add short hair-like upward lines throughout the brow. 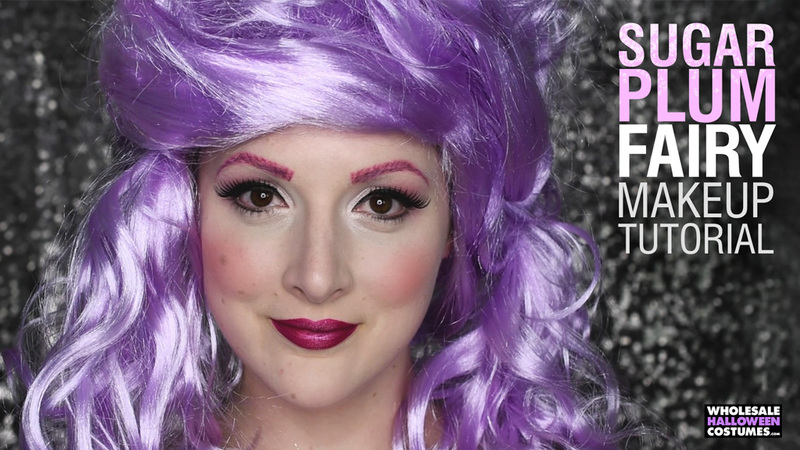 Apply a bright pink shadow to the other corner of each eye and blend into the crease. 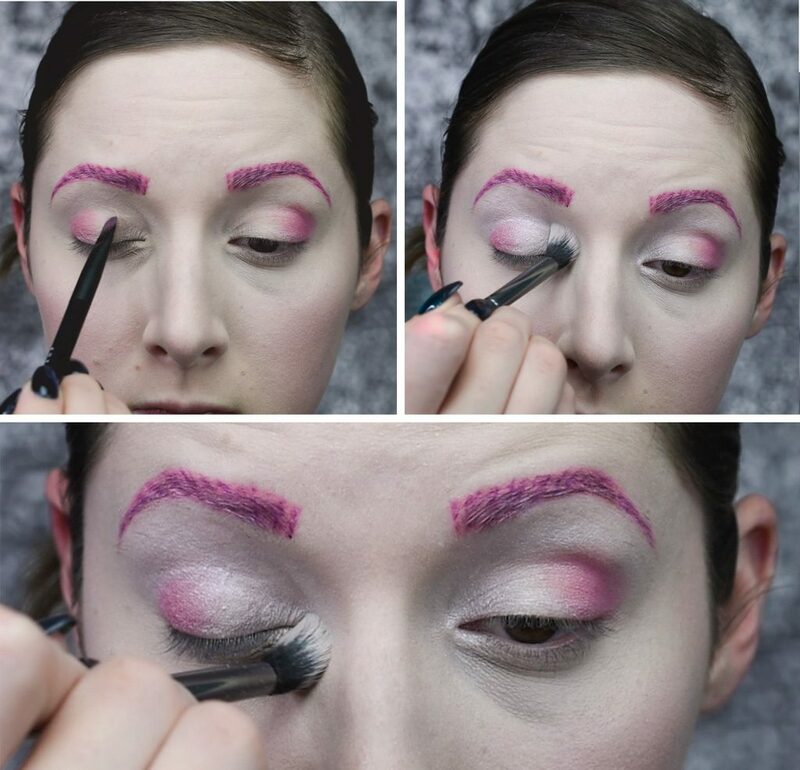 Go over the entire eyelids and into the inner corners with a pearly white shadow and blend into the pink. Lay down a crisp winged eyeliner all the way to the inner corner of each eye with liquid eyeliner. Apply liner to the lower lid about 3/4 of the way across your lash line. Use a pink blush and apply heavily to the apples of each cheek. Apply bright magenta lip color. 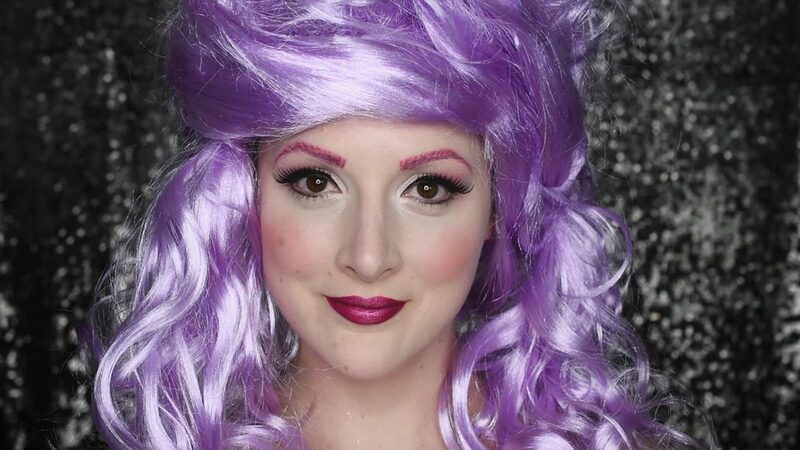 The last step is to apply a wig cap and a purple beehive wig. 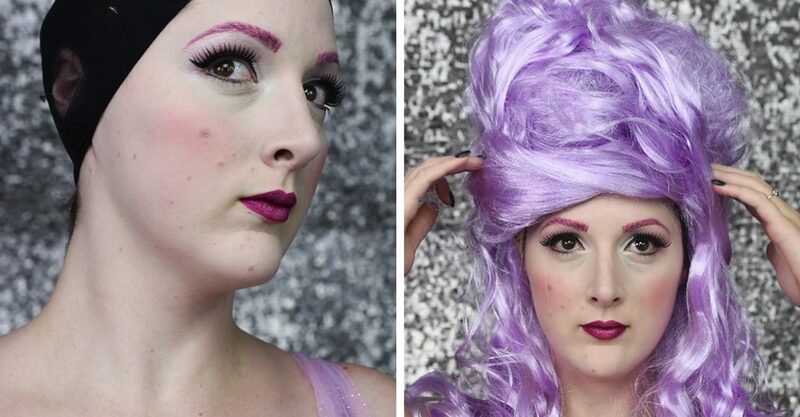 This is a regular wig styled into a beehive with bobby pins. Now The Land of Sweets is yours to rule. Feel free to start the party with a few dances don’t skimp on the sweets! Have you been cast as the Sugar Plum Fairy? Or maybe you’ll be the Nutcracker Prince. Snap a pic and share it with us on Facebook, Twitter, or Instagram! Check out all the good stuff we find on Pinterest too!